If you enjoyed Beatlemania last year than this is for you. This eight piece band is The Look, The Sound and The Show of the true Rolling Stones experience. 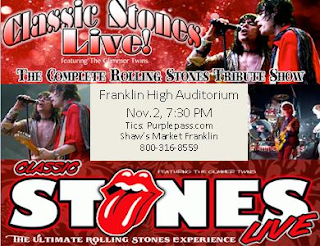 Tickets at Shaw's Markets or www.purplepass.com and Search for "Classic Stones Live"